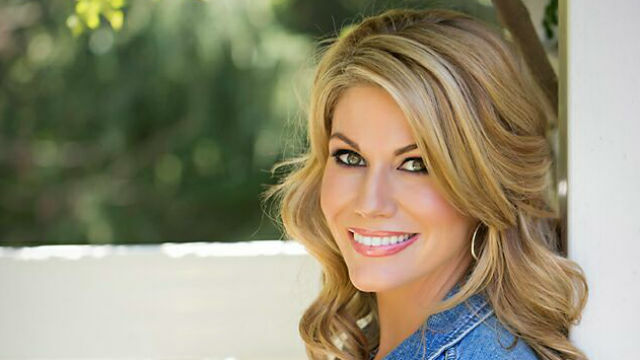 San Diego native Heather Myers returns to KFMB/Channel 8. Just in time for El Nino-fueled storms, two local TV morning news shows have new weather reporters, including Heather Myers at KFMB/Channel 8 and Francella Perez at KUSI/Channel 9. A San Diego native, Myers is returning to Channel 8 where she worked from 2003 to 2007. She graduated from Poway High School (class of 1997) and San Diego State University in 2001 with a bachelor’s degree in journalism. Myers worked as a TV anchor and reporter in Yuma in 2002 and 2003, before returning to San Diego to work at Channel 8. She then joined Channel 6 in 2007 as the 10 p.m. newscast weekday co-anchor and then switched in 2011 to co-anchoring the morning news until last year. Myers replaced Natasha Stenbock who left Channel 8 on maternity leave last summer. After the birth of twins in July 2015, Stenbock moved to Minnesota in September. Kimi Evans, previously with XETV/Channel 6, reported weather at Channel 8 until Myers joined. Perez, a native of Costa Rica, has worked in TV for the past 13 years in Los Angeles for Telemundo and MundoFox. She graduated from UCLA with a bachelor’s degree in English literature. She also has a bachelor’s degree in geoscience broadcast meteorology from Mississippi State University. Perez replaced Leslie Lopez who left after four years in December to join KABC Channel 7 in Los Angeles. MundoFox, a U.S.-based, Spanish-language TV network, launched in 2012 by 21st Century Fox. It aired Noticias MundoFox (“MundoFox News”) from its Los Angeles affiliate KWHY/Channel 22. Perez also co-hosted “Viva el 22,” an entertainment show. Then, In July 2015, Fox sold the network to Columbian broadcaster RCN Television, which rebranded the network to MundoMax and ended news programming. Today, MundoMax airs telenovas, reality television, game shows and feature films. Roadrunner Publications, publisher of the Valley Roadrunner, a weekly newspaper based in Valley Center, has acquired the Escondido Times-Advocate, a bi-weekly publication, from real estate broker and developer Kelly Crews. The purchase price was not disclosed. “We are excited to expand our hometown, family-friendly Roadrunner brand throughout our neighborhood and surrounding communities,” said Justin Salter, president, Roadrunner Publications. 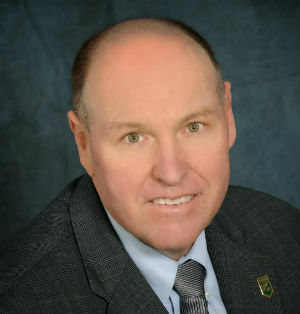 Salter said the company also produces a weekly Internet newscast called “Valley Center TV” that is seen on www.valleycenter.com. “I’m very pleased with this turn of events and the potential trajectory for the benefit of our communities,” said Crews, who revived the Times-Advocate publication in 2013. The Times-Advocate website, www.times-advocate.com., says its new print newspaper will launch the first week of February. Salter said he plans for the Times-Advocate to begin publishing on a weekly basis sometime this spring. The T-A name disappeared in December 1995 with the birth of the North County Times newspaper, a result of a merge of two longtime rival newspapers, the North County Blade-Citizen of Oceanside and the Escondido-based Times Advocate. The Times Advocate’s roots extend to 1886; those for the Blade reach back to 1892. In September 2012, Doug Manchester, former U-T San Diego owner, purchased the North County Times from Lee Enterprises, and the NC Times became the U-T North County Times. In 2013, the U-T North County Times name was dropped and replaced with a U-T North County section. The San Diego Press Club will host “Tips and Tricks for Successful Email Marketing in 2016” from 5:30 to 7 p.m., Wednesday, Jan. 27, at the club office at the Spreckels Theatre building, 121 Broadway, Suite 640, in Downtown San Diego. Speakers will be Tracy Petrucci, Tracy Petrucci Marketing, and April Harter-Enriquez, WordPop Public Relations and 2016 SD Press Club president. Topics will include list management, tips on content and templates and tracking results. Constant Contact is the event sponsor. Cost to attend is free for members and $15 for nonmembers. To RSVP, contact Terry Williams at (619) 231-4340 or sdpressclub@cox.net. For more info, visit www.sdpressclub.org. The program is part of the Press Club’s “Nuts & Bolts” series. Uniradio San Diego, operator of 13 Spanish-language radio stations that can be heard in San Diego and northern Mexico, has named Mari Pili Becerra as director of sales. The announcement was made by Ricardo Astiazaran, Uniradio VP and GM. Becerra has 21 years of experience in TV and radio sales, promotions and marketing. She was previously with Energy Communications, a sales company representing Televisa, Entravision San Diego Univision, Telemundo and Telefutura. Uniradio operates XEMO 860-AM La Poderosa, XHFG 107.3-FM Pulsar and XHTY 99.7-FM Invasora. La Poderosa airs San Diego Padres games.